Shortly before 0600 hours Company 32 (Progress) sent to 39th and Walnut Streets for a smoke investigation. 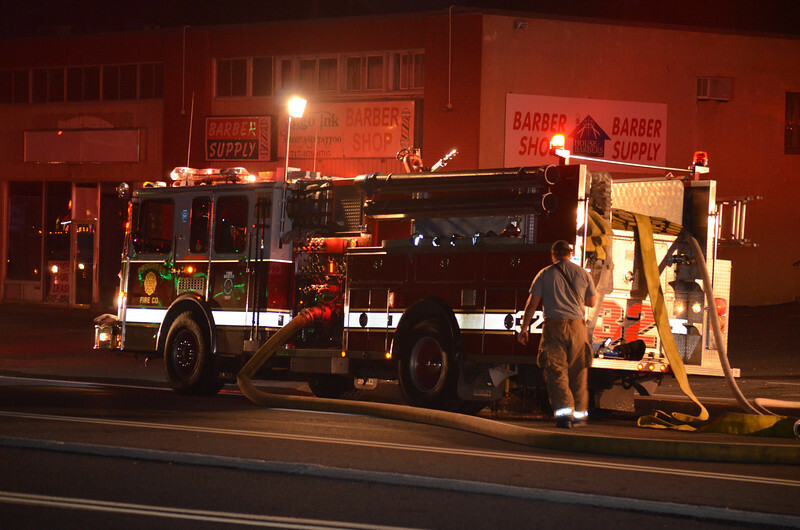 A single caller reported smoke from behind two businesses in the area. Chief officer from Company 32 arrived with a smoke condition and reported a working fire at the Gabriell'as Italian Restaurant at 3907 Jonestown Road. A first alarm assignment was requested. A line was quickly stretched by the crew of Engine 32-1 knocking down a fire in the kitchen. The celings were pulled with negative extension. The fire was placed under control in about 15 minutes. The origin is believed to be electrical and caused $100,000 in damage.